Sports are a staple of American culture. As sports fanatics, we dedicate loyalty to our favorite teams, plan our day around when games are televised, and gather to watch big sporting events. It’s no wonder that the sports merchandising market in North America is expected to generate $14.2 billion dollars in revenue this year. Like any industry, the sporting industry must adapt to the way Americans consume entertainment and information. That’s why smart sports franchises are utilizing social media to keep their fans engaged. From creating apps for their fans to giving people an inside look at a team’s activities, sports franchises are rocking the social media game. In this post, we’ll show you a few examples of sports teams who are utilizing social media effectively. The New York Rangers franchise is a perfect example of how social media has been successfully used in sports. They have demonstrated how consistent presence on media platforms like Snapchat, Twitter, Facebook, and Instagram, can increase fan bases, consumer feedback, franchise transparency, and sponsorships. The franchise joined Snapchat in 2014 and is now controlled by Amanda Borges. Snapchat has given fans a backstage pass to team activities like pre-game rituals, locker-room shenanigans, and bloopers. Their Snapchat snaps can vary between 0 to 7 times a day. Since joining Twitter in 2009, the New York Rangers have tweeted 64,700 times and liked 320 tweets. They follow 5,761 accounts and are followed by a massive 1.34million people. 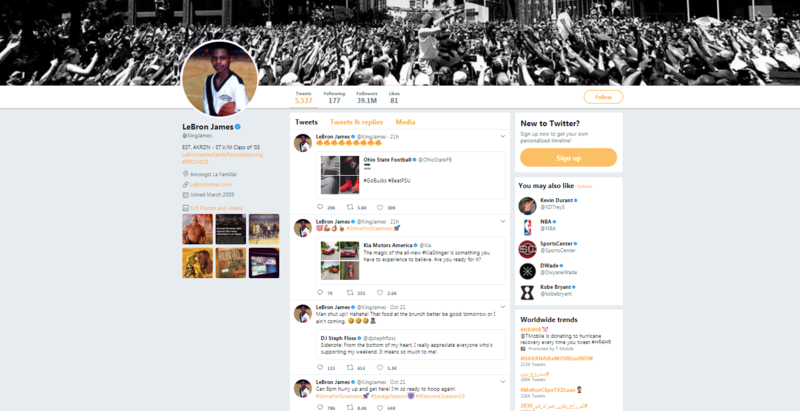 By using Twitter, the franchise has been able to post up-to-date content and information and interact with followers by liking, retweeting, and replying to followers and non-follower tweets, all within seconds. The franchise’s official Instagram has accumulated around 790,000 followers, posting 5,064 times in total. Glancing at the analytics of their last 20 posts shows a total 327,735 likes and 1,809 comments, making their engagement rate about 41.43%. The team has used Instagram proactively by posting videos and pictures of upcoming matchups, ticket sales, events, game updates, and highlights. Non-game related posts average between 1 to 2 times a day. The New York Ranger’s Facebook page has 1,581,112 total followers and steadily increase in followers over the last two years. Facebook gives fans the ability to interact and share their opinion, thoughts, and frustration in greater detail compared to Snapchat, twitter, and Instagram. Facebook allows users to visually show their emotions by clicking on one of 5 different emojis, giving you an idea of how people are reacting to the content with only a quick glance. In the comment section, fans are able to leave a comment or reply to others’ comments with a maximum of 8,000 characters. Many franchises have failed to bridge the personable gap between them and fans by operating without a permanent team reporter. One Franchise that has successfully constructed this bridge is the Rangers. As one of the most popular and oldest teams in the National Hockey League, the New York Rangers have one of most followed social media platforms. But they have been ranked in the bottom third in published content in past years. Going into the 2016/17 season, the franchise set out to grow their fan base as well as their social media engagement by showing exclusive content through digital media, that featured seasoned reporter, TV host, radio host, and journalist Amanda Borges. Amanda Borges role As Team Digital Video Reporter/Content Producer is to create content ideas and execute interviews with players and coaches to help bridge the gap between them and fans. You can find Amanda’s personable and professional character in front of the camera during pre and post-game interviews, post-game and practice recaps, and also off-ice team activities. All of which are posted regularly on the Ranger’s Facebook page, Instagram, Twitter, official website, and the NHL app. In our society, athletes are celebrities and we seem to have this uncontrollable desire to know what their lives are like. Social media gives us updates about their careers, their wardrobes, and a glimpse into their “normal” lives. Athletes are their own brands and being on active on social media contributes to a rapid growth of followers and fans. 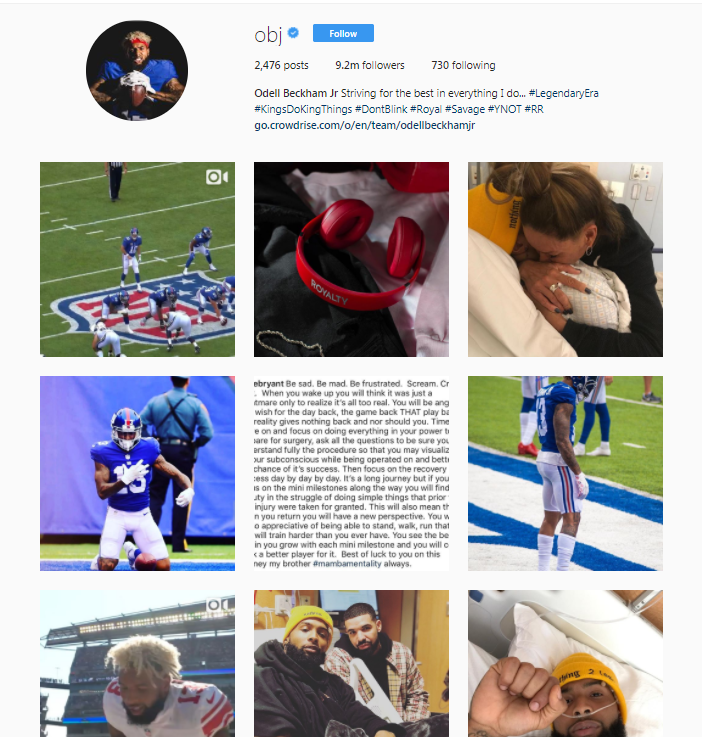 The wide receiver for the New York Giants, Odell Beckham Jr., has over 9.2m Followers on Instagram. He tends to post a lot of action shots or game-related content. This gives fans a chance to feel like they are in the game- or reminisce on their favorite moments of the game. 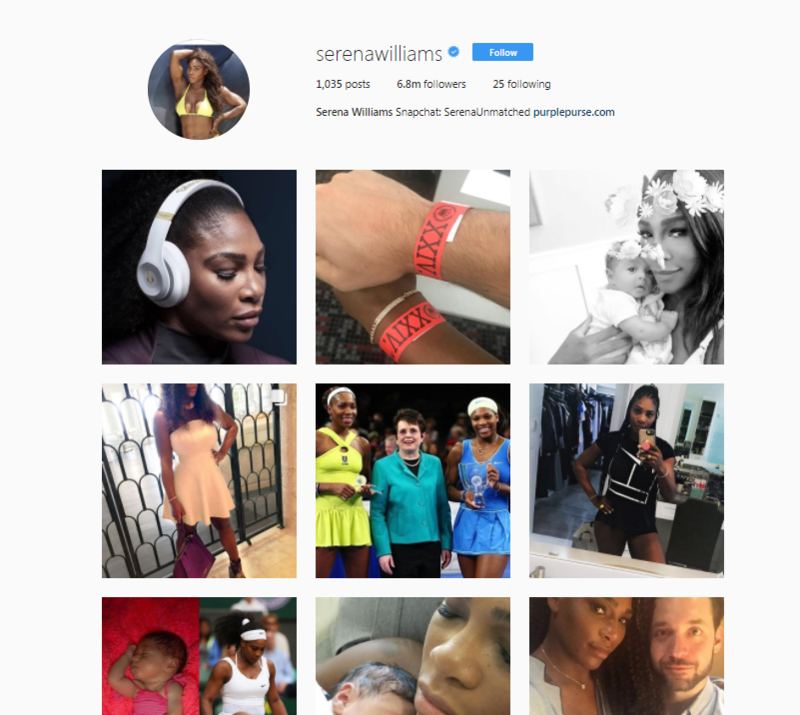 Serena Williams, who is a world-famous tennis player, has over 6.3 million followers on Instagram. Her content is a mix of her in her athletic element, life as a new mother and brand collaborations. His posts in regards to activism, family life, brand deals and genuine conversations with fans and teammates make Lebron James one of the most followed athletes on Twitter. Athletes and teams are not the only ones in the sports industry taking the digital world by storm. 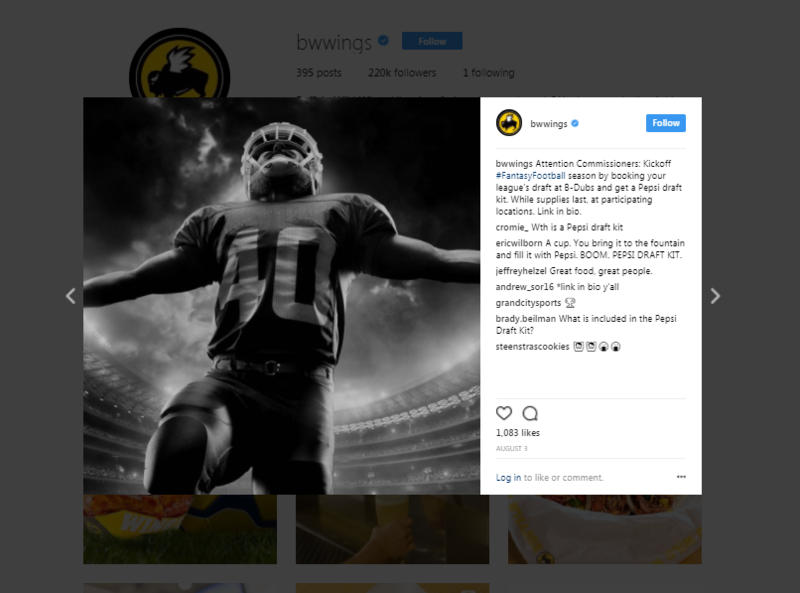 Food franchises like Buffalo Wild Wings and soft drink companies like PepsiCo thrive from sporting events. When you think of food or drinks for sporting events, the first instinct or thought that pops into your hear is almost always one of these two. That is because they partner with athletes using digital advertising to promote sporting events, product, and interactive consumer activities on social media. Some entities in the sports industry have been slow to react when it comes to adopting and using social media successfully. But the ones that have been proactive throughout the never-ending process, have recognized the benefits.